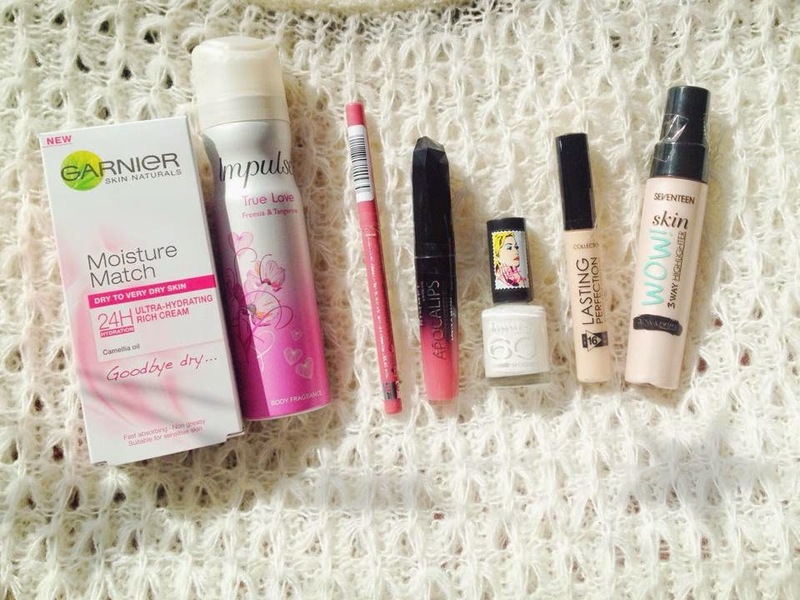 Hello lovelies, yesterday I went town with my mum and I ventured into Boots and Wilkinsons. I did buy all the make-up myself and my mum bought me the skincare/body bits. I was going to buy MAC Pro Longwear Concealer but I only had £24 and I wanted to buy more than one item of make-up aha! This definitely fulfilled my make-up crave. 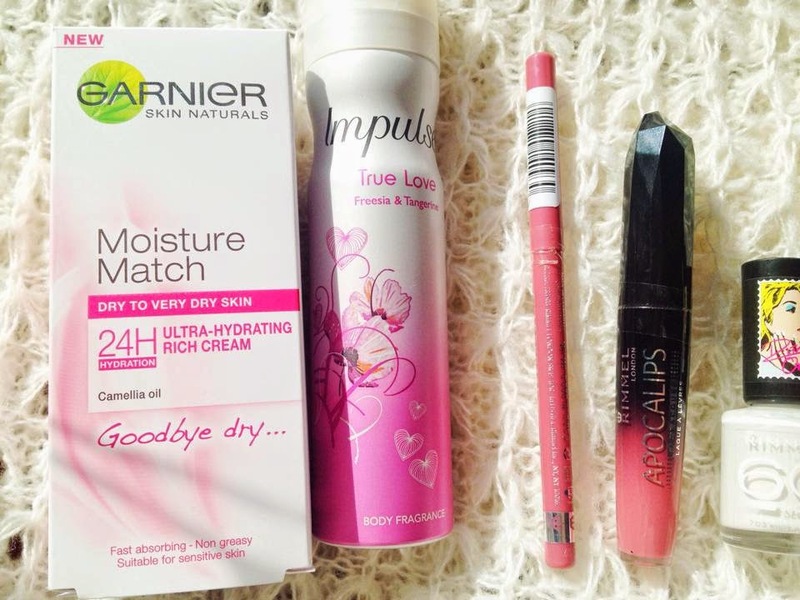 From left to right: Garnier Moisture Match for dry skin, Impulse True Love Body Spray, Rimmel Lip Liner, Rimmel Apocalips, Rita Ora for Rimmel Nail Varnish in White Hot Love, Collection Lasting Perfection Concealer in Fair and Seventeen Three Way Highlighter. 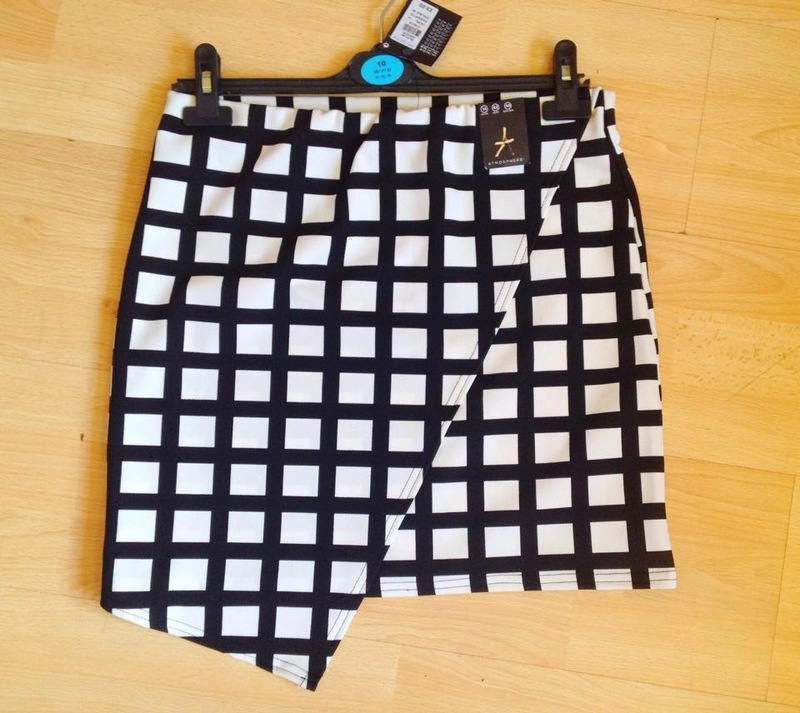 My mum also got me this gorgeous wrap skirt from Primark and it was only £9! What bits have you picked up recently? The collection illuminator looks really interesting, and I'd love to hear how you got on with it! My last purchase was a sample size Benefit kit from Boots, including the POREfessional, Bad Gal mascara and Posietint. At 10 pouds, it was definitely a good deal! 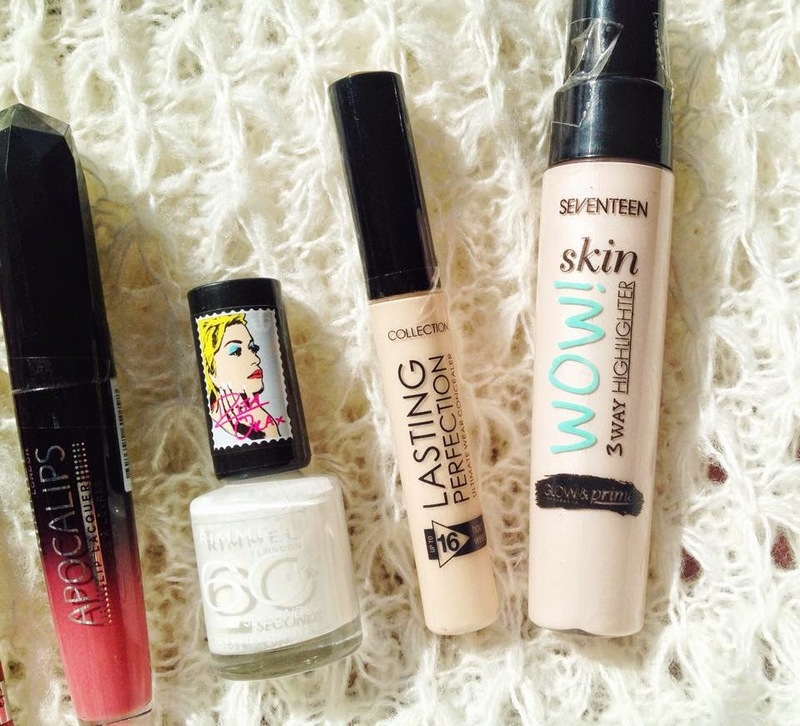 March Empties and Mini Reviews!